The LA area isn’t usually associated with an abundance of water. But those who know the history of La Crescenta know this was not always true. La Crescenta CA was devastated by flooding and mudslides that destroyed over 400 homes in 1934. Fortunately, after this disaster the US Army Corps of Engineers designed a flood control system to avoid a repeat of this disaster. Today locals have much better peace of mind that their homes and businesses will be safe from disaster. 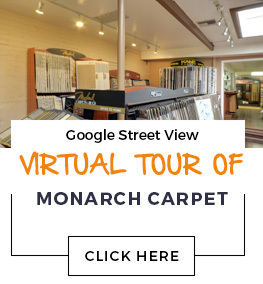 At Monarch Carpet, Drapery & Upholstery, we have every type of flooring you could want for your La Crescenta CA property. Whether you are looking for something luxurious for your home or something practical for an office, school, or other high-traffic environment, we can help. We provide personalized attention and the highest quality service on your project from purchase to installation, and we promise a great price on carpet, wood flooring, laminate, vinyl, and area rugs.